Michael Booth talked at InfoCamp 2013 about why you should use HTML5. Michael is a developer at Microsoft for over two years. Its strengths: content creation, content consumption, “living” applications with frequent updates, heavy user interaction. It’s good for desktop. The benefits include the ability to make rapid changes (there’s a quick write-refresh cycle), shorter bug tails and less risk. When the application fails, the browser catches it, so it “gracefully fails” instead of crashing. It’s good for web. It’s a text file, so the security risk is low. Users aren’t required to download anything. The browser handles everything. It’s good for mobile. Windows 8 supports apps in HTML5. Do that with PhoneGap. Its weaknesses: mathematical computations and intensive games. 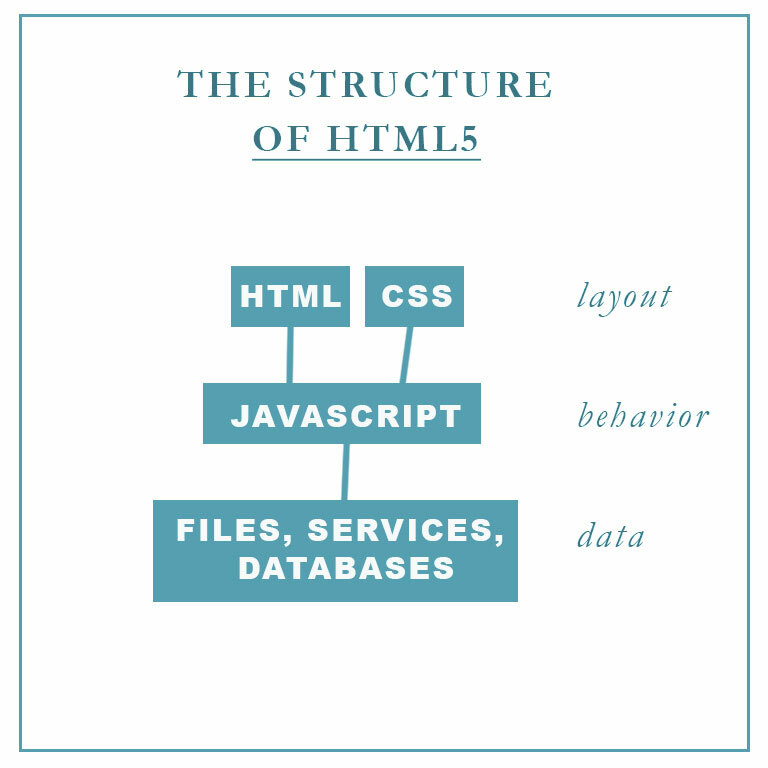 The HTML5 stack is great for User Interface prototyping. Because of its popularity, there are many frameworks available. Prototyping in code allows for stateful prototyping. Active links, hovers, etc. are controlled by the CSS (Cascading Style Sheets) and developers will appreciate that you’ve communicated in a language they understand. Michael recommends downloading an editor. JetBrains WebStorm has a 30-day free trial period. JSFiddle allows you to create in the browswer in a usable WYSIWYG (What you see is what you get). Imagine sending a url to your dev and they get this! Wow. How much is enough? (Or what’s a recommended minimal amount of code knowledge for a non-programmer (read: designer)? What projects are good for learning HTML5? Games. Personal Portfolio. Use Google. Look up what you want it to do. Then take the code that the result gives you and type it out. Think about why it works. What’s the difference between HTML4 and HTML5? HTML5 has new features including better scripting, media players, metadata and semantic tags such as <section> and <article>. Use HTML5 as intended and your page will be read by computers in a way that they are better understanding of the content because of this new markup code.